I realize this post will only make a very specific group of people happy, but it makes me happy to know someone out here may stumble across this page through a random google search and smile. Today, I celebrate Zora! 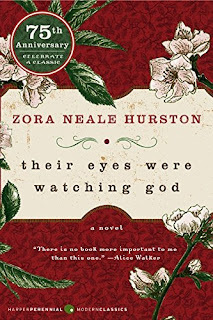 Those closest to me know my all-time favorite writer is Zora Neale Hurston, and my all-time favorite book is Their Eyes Were Watching God. In college, my closest English loving friends knew there was no way I would miss a discussion day about Zora. As a huge fan, I have collected Zora books throughout the years. 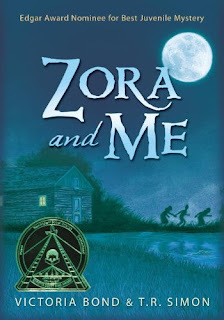 But, after I started this blog and began to focus more on children’s books, I started to think back on my fondness for dear ole Zora. And, guess what? Other Zora lovers like me have created Zora books for children! If you have never read her classic book before, now is the time. 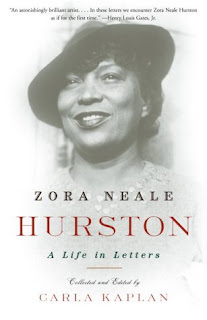 I now present you with a list of Zora Neal Hurston items every Hurston lover (and every person in general) should have in his/her home. 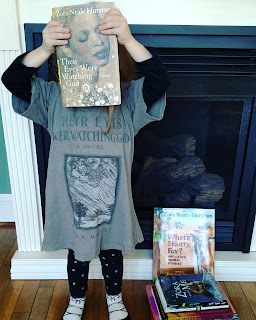 In the picture with my daughter, you may notice two copies of Hurston’s classic. This is because I have my pretty copy and my teacher copy. My teacher copy is underlined with tons of notes in the margins. I cannot part with either. Does anyone else own multiple copies of their favorite books? This is a wonderful collection of Hurston’s fiction, folklore and autobiography. I have written all through this one as well. 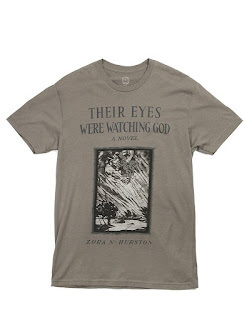 If you read Their Eyes Were Watching God and want to read more by her, I encourage you to check out this collection. A collection of artifacts from Hurston’s personal life full of pockets with special mementos and portraits. 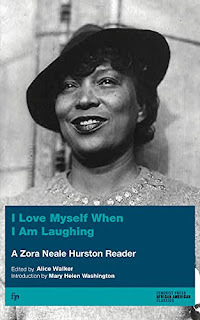 It also includes an audio cd with radio interviews by Hurston about her life as a writer. 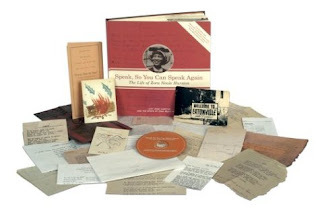 A rebel during her time, this stunning collection of letters includes previously unpublished letters to friends like Langston Hughes and Dorothy West. Come on, the fact that I own this t-shirt doesn’t surprise you, does it? 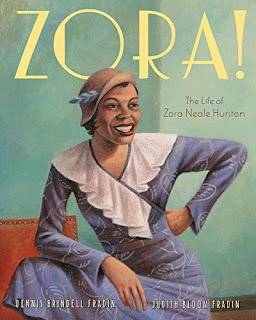 This middle grades biography about the life of Hurston is easy to read and understand, and it includes several pictures. This would be a great introduction to Hurston, the Harlem Renaissance or a wonderful selection for a Black History unit. 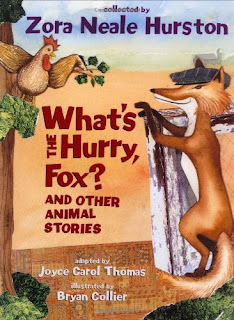 This short story by Hurston has been adapted and illustrated as a children’s book. It tells the story of a young man who meets many foolish people on his travels and finds true love. This is a collection of Hurston’s folklores that has been put together by an award winning children’s author and an award winning illustrator. A wonderful introduction to Hurston and folklore to add to your collection. 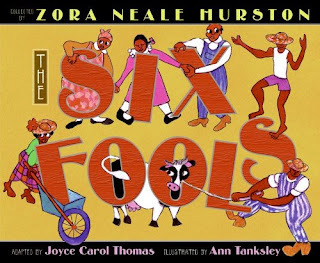 This is a fictionalized chapter book about a young Zora Neale Hurston in Eatonville, Florida. This coming of age story was the winner of the John Steptoe New Author Award in 2011. * You may order any of these products from amazon by clicking the links. These are affiliate links. Thank you for supporting my blog!